290m to UQ! Top floor modern unit with great entertaining area! This beautifully presented top floor two-bedroom unit is literally 290metres to the University of Queensland. Move straight in now or perhaps you wish to create a solid holding income until your son or daughter kicks off their studies next at UQ in the years ahead. Envision your lifestyle with sweeping views to the University of Queensland and picturesque vistas across leafy St Lucia. Imagine you and your friends enjoying a relaxing Sunday afternoon on the balcony, cool breezes drifting through. Perhaps they have arrived by CityCat, which is just a seven minute walk away. This spacious two bedroom apartment is beautifully presented and put simply, has it all! In a low maintenance living complex, this top floor apartment contains two generous sized bedrooms, each with built in wardrobes, a spacious kitchen and well-proportioned living & dining spaces, which are complimented by a balcony area that captures a lovely leafy aspect. The property has a very homely feel and you will love it the moment you inspect! 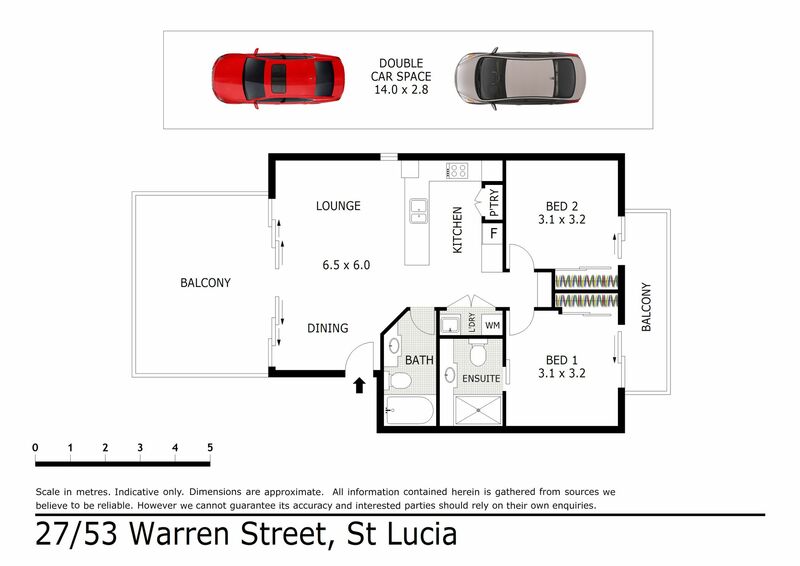 The location is fantastic, surrounded by all the benefits of St Lucia living with the City-Cat service, bus connections all moments away. Indooroopilly & Toowong Shopping towns in both directions from your leafy neighborhood and if you like to cycle you will find yourself to be at a head start on the river loop circuit. This is great for the astute parent looking for a great long-term investment while their kids attending UQ. The whole property radiates a feeling of light, space and privacy.